Three Full Days Guided Group Tour (Up to 6 travellers) to Petra (Overnight) , Wadi Rum (Overnight) , Al-Mujib Siq Trail (Only during summer season from April to end of October - Replaced with Gulf of Aqaba on winter ) & Dead Sea, price includes Two nights accommodation-Separate Room/Tent - not shared with others (one night at 3* hotel in Petra and one night at a Bedouin camp with Jeep Safari tour at Wadi Rum as well ... Tour is escorted with Mustafa -click here to see some of Mustafa's clients reviews on Tripadvisor - who is running a modern full size SUV ( Up to 6 persons). This is a group tour up to 6 travelers, and the final price depends on the group size, where you would get the lowest price when the group is filled up. (April 1 – October 31): Fully guided with this package. Grade: Easy to moderate, depending on the season. Starting time: 9:00 a.m. to 11:00 p.m. Requirements: Must be at least 18 years old; have a reasonable level of fitness. 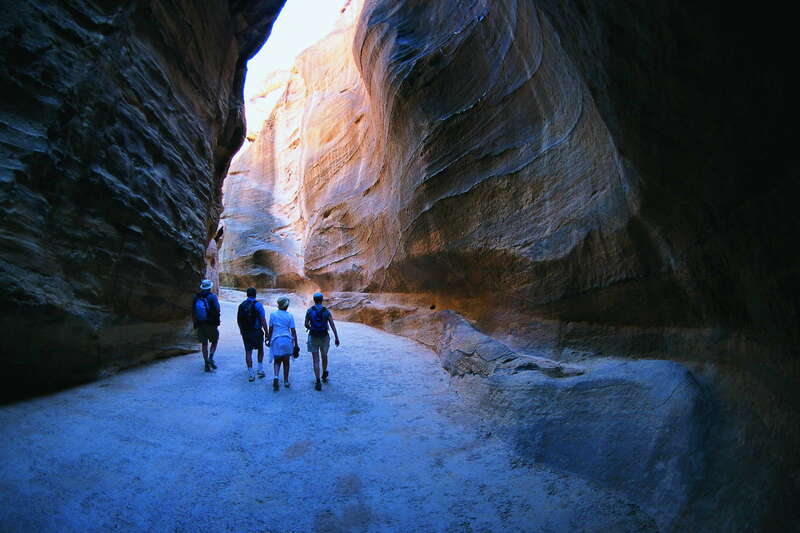 Dana Biosphere Reserve is Jordan's largest nature reserve, located in south-central Jordan. Dana Biosphere Reserve was founded in 1989 in the area in and around the Dana village and Wadi Dana comprising 308 square kilometres ( This is a quick stop on the part of the reserve for taking photos and continue - No hiking or trekking activity is planned ) . Part of the great beacon chain of Crusader fortresses, Shobak Castle is by far the most lonely. Built in 1115 AD by Baldwin I, who later built Karak, it was originally known as Mont Realis (Montreal) and was the first outpost of the kingdom of Jerusalem in the Crusader district of Outer Jordain. Situated on an isolated knoll overlooking the trade routes that ran through the wadi below, Shobak is breathtaking. Little Petra : also known as Siq al-Barid, literally "the cold canyon") is an archaeological site located north of Petra and the town of Wadi Musa in the Ma'an Governorate of Jordan. Like Petra, it is a Nabataean site, with buildings carved into the walls of the sandstone canyons. As its name suggests, it is much smaller, consisting of three wider open areas connected by a 450-metre (1,480 ft) canyon. It is part of the Petra Archeological Park, though accessed separately, and included in Petra's inscription as a UNESCO World Heritage Site.It is often visited by tourists in conjunction with Petra itself, since it is free and usually less crowded. T.E. Lawrence (Lawrence of Arabia) wrote: "...so you will never know what Petra is like, unless you come out here. Only be assured that till you have seen it you have not had the glimmering of an idea how beautiful a place can be." Known as The Valley of the Moon is a valley cut into the sandstone and granite rock in southern Jordan 60 km (37 mi) to the east of Aqaba; it is the largest wadi in Jordan. Wadi Rum is Arabic for Roman Valley,or "Valley of the Romoioi" (Ρωμοιοί), as the Greeks were also called in the early Byzantine era by Arab people, probably referring to Christian Byzantine monastic or ascetic communities in the area, for which they were also known as "monks of the desert", before the expansion of the Rashidun Caliphate. Seventh attraction : Gulf of Aqaba on the Red Sea. 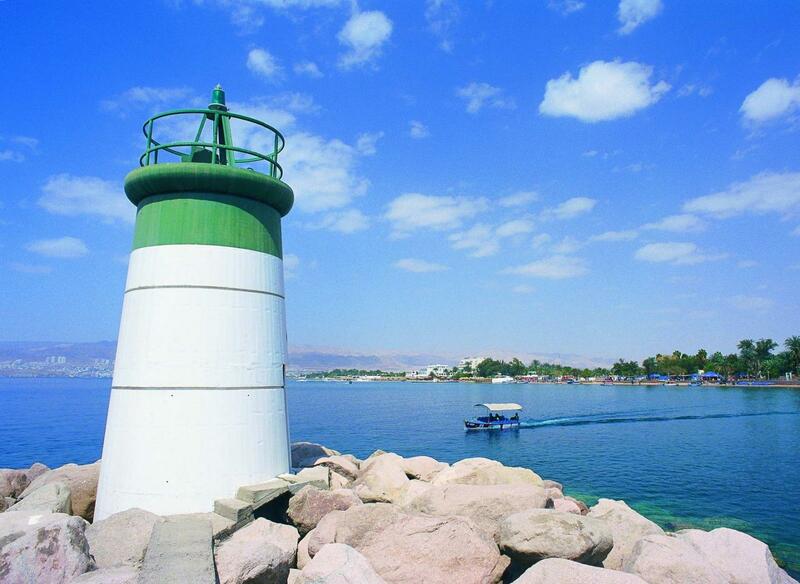 The seaside town of Aqaba is located on the Red Sea, within sight of Saudi Arabia and Egypt. 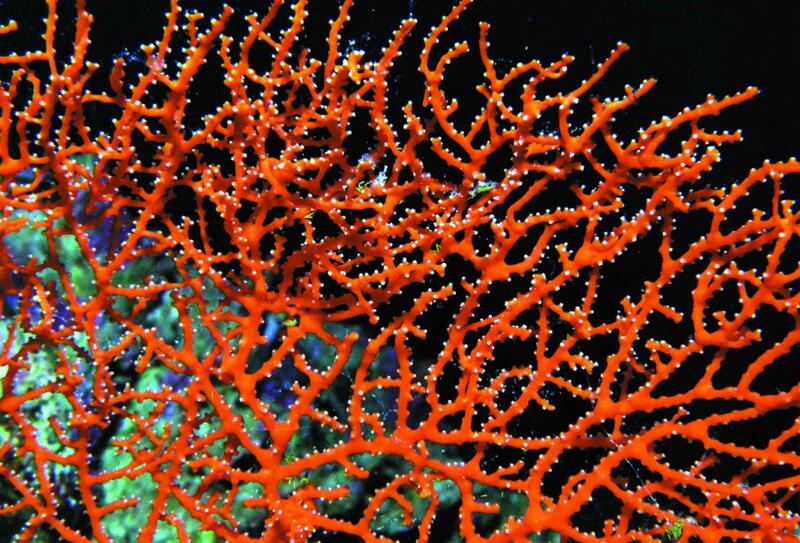 Jordan may have only 26 kilometers of coastline, but they are being put to good use, and below the sparkling Red Sea waters are some of the most fantastic dive sites in the world. This area has been of strategic interest since old times, and evidence of these civilizations is still visible, although visitors may have to tear themselves away from the five star hotels and the beach in order to do so. 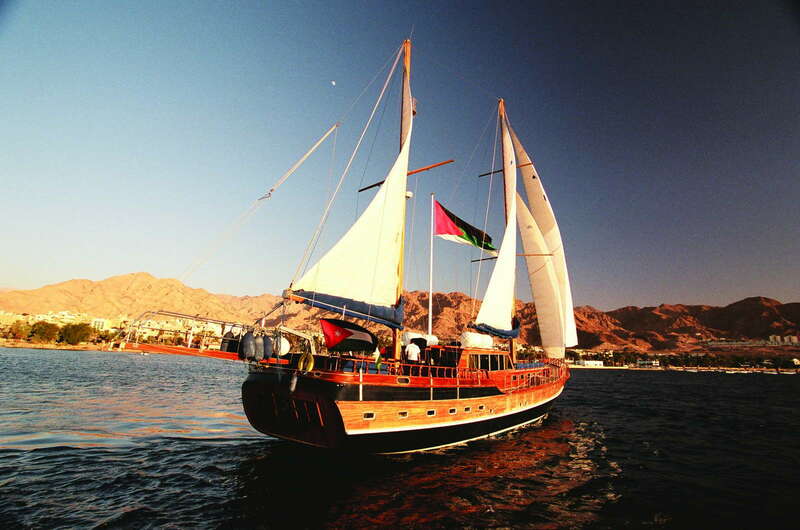 Aqaba is also popular as a base camp for travelers wanting to see Wadi Rum and Petra. This is a quick stop however, visiting the public beach, taking a glass boat ride, having lunch and keep moving toward the Dead Sea passing through the Rift Valley highway. Built at the lowest elevation on earth, and less than a year old, this jewel-box of a museum showcases the Dead Sea region’s rich past. No country has as many Biblical sites as Jordan. The Dead Sea gets several mentions in the Bible, and it’s where the Dead Sea scrolls were found. Jesus was baptized by John in Bethany-Beyond-the-Jordan, before the baptist lost his head in Machaerus. In the hills east of Ghor as-Safi (ancient Zoar) a cave was found in 1991 with Early and Middle Bronze Age pottery inside. 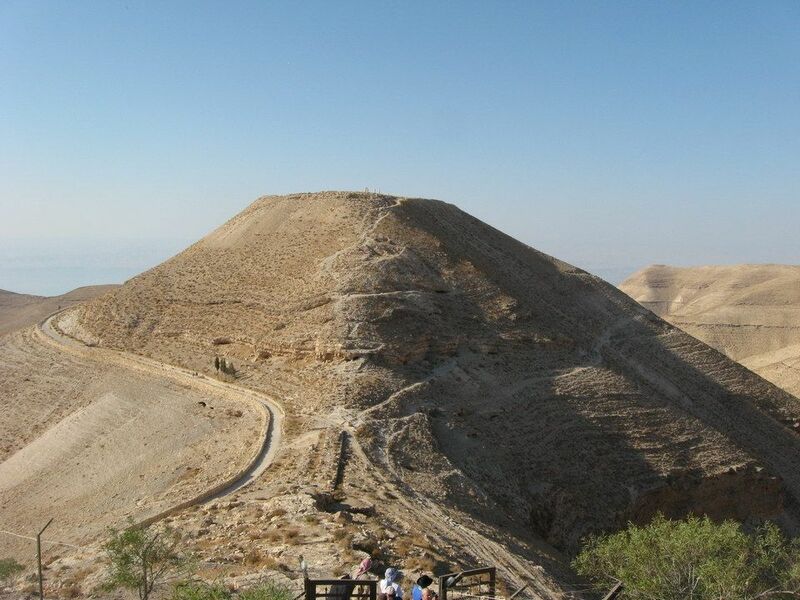 Speculation linked the finds with Abraham’s nephew Lot who, according to the Bible, moved to a cave in the hills above Zoar after the destruction of Sodom and Gomorrah. Ninth Jordan Attraction : Dead Sea Salt Beach. Located at the Southern part of the Dead Sea, not very well known location, despite the fact that you would see it very clear while driving on the Dead Sea road coming from Aqaba city and after you pass the dry area that separate the upper part from the lower part of the Dead Sea. Despite that you can see it, but it looks far away to reach for different reasons, you need to walk around 500 meters to reach it, and in simple words : it is amazing and stunning and it indeed does worth a stop ( it is not a well known visited place neither for Jordanians or tourists because there is no services at all at that spot and it doesn’t looks easy to reach - but it is easy. Tenth Jordan Attraction : Dead Sea Beach - Amman Beach. Its 2km south of the main resort strip, is run by Amman municipality to give affordable access to the Dead Sea. The grounds are attractively landscaped and the beach is clean, with sun umbrellas, freshwater showers and a vibrant local flavour, making it a great place to strike up conversation with a Jordanian family.There are also a number of swimming pools, a restaurant (JD10 buffet), some drinks stalls, basketball courts and an amusement park next door. 08:00 Hotel Pickup & moving toward Dana Natural Reserve . 10:30 Arriving to Dana reserve. ( This is few minutes stop - view the scenery - take photos and keep moving. 13:00 Visiting little Petra and little Petra area. 16:00 Arriving to Rum and moving towards Bedouin campsite . 21:00 Night walk – Hiking under the stars in Rum Valley ( Depends on Weather condition). Third Day: Wadi Rum – Al-Mujib Siq Trail - Dead sea – Amman ( During Summer season "April to October"
Wadi Rum - Gulf Of Aqaba and Dead Sea ( During Winter season " November to March). 06:00 Early morning walk – Hiking at Wadi Rum. 10:00 Moving toward Dead Sea. Fully Guided Tour - Escorted with Licensed English speaking tour guide. One night Sleep at Petra in 3* Hotel with breakfast. Entry Fees, tips, Travel Insurance and other meals are not included. For the People who are spending more than 3 nights in Jordan: Get Jordan Pass before arrival - it make a difference - Check JordanPass.jo for more details. The first WiFi operated telescope for amateur astronomy. Control your telescope with the free COSMOS Celestron Navigator app for iPhone, iPad, and Android devices.Special edition COSMOS eye nebula badging with 3D Spaceship of the Imagination (SOTI) design on fork arm. SOTI lights up when your telescope is connected via WiFi! 90mm refractor with fully coated glass optics provides outstanding views of the Moon, planets, and nebulae, and more. Choose the object you wish to view from COSMOS Celestron Navigator’s database of over 120,000 celestial objects. We will visit Four places (Main attractions) in Two Days : Petra , Wadi Rum, Wadi Al-Mujib Siq Trail "Water Trail (during April - Sep )" and the Dead Sea. Special camping activity with campfire and Jeep tour for 2 hours in Wadi Rum , hiking for a while on the most beautiful places in Wadi Rum. NB: Wadi Al Mujib is closed in winter time from November to end of March, and is replaced with a visit to Gulf of Aqaba city with half an hour Glass boat tour at the Red Sea for free. Afterwards we would move toward Dana Reserve and keep moving afterwards toward Al Mujib and take the Siq Trail for two hours. Enjoy a 4-day small group tour to the Baptism site at Jordan River, Madaba city & churches, Mount Nebo, Machaerus castle, Jerash, Ajloun Castle, Petra, Wadi Rum, and the Dead Sea. Spend two nights in Amman in 3* rated hotels including breakfast (Separate rooms for separate bookings - not shared with others). 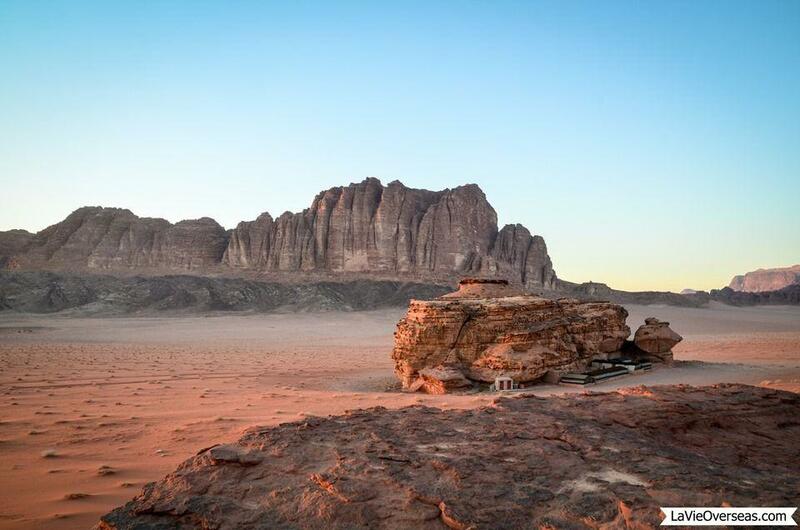 Also sleep overnight at a Bedouin camp at Wadi Rum including dinner and breakfast. Entrance fees and local guide services at each attraction are NOT included. The order of sites visit days might change depends on our tours schedule. - Take in southern Jordan's top sights in four days—ideal for those short on time. 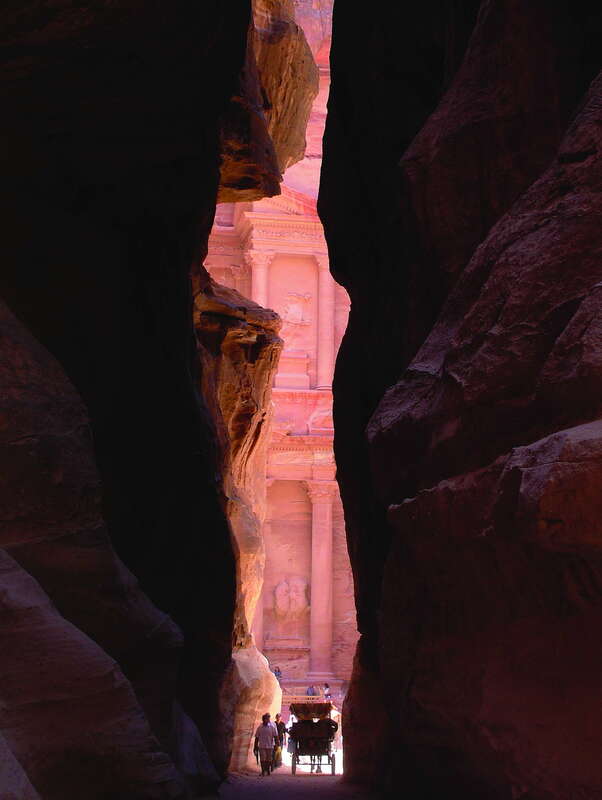 - Explore Petra, a UNESCO World Heritage Site and one of the new seven wonders. - Spend one night and discover the desert of Wadi Rum on a 4x4 tour (local Bedouin cars). 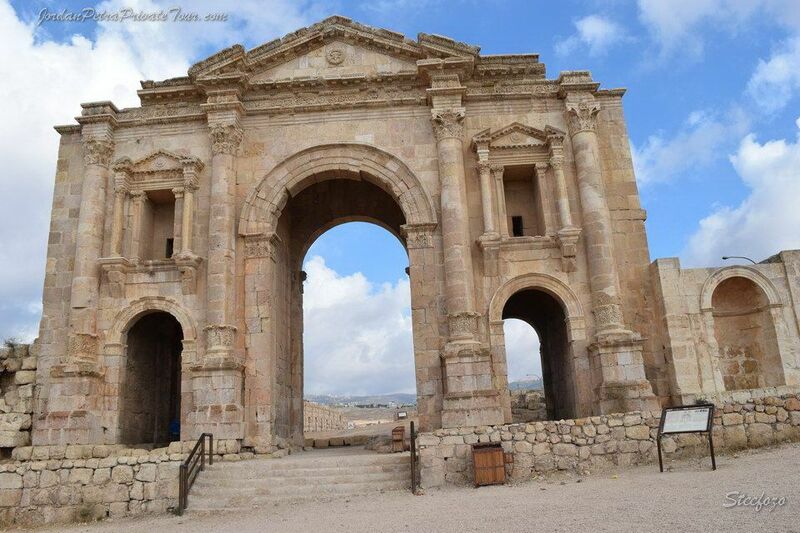 - Baptism site at Jordan River, Madaba city & churches, Mount Nebo, Machaerus castle, Jerash, Ajloun Castle, Petra, Wadi Rum, and the Dead Sae Four Full Days Tour from Amman. 12:00 Visiting of Mount Nebo (The place where Moses was granted a view of the Promised Land). 13:00 Madaba Mosaic Shops & Lunch time (Not Included). 14:00 Visiting St George’s Church & Mosaic Map (5-6 century church). 15:00 Visiting of Machaerus castle (Imprisonment and execution of John the Baptist). 17:00 Moving back to Amman. 08:00 am: Hotel pickup and moving to the North. 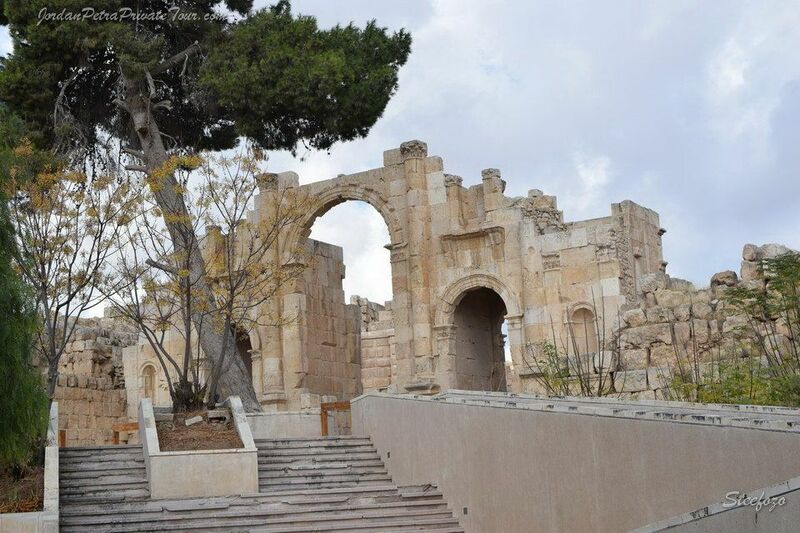 09:00 am: Jerash city tour 02:00 pm visiting to Ajloun castle afterwards. 05:00 pm: Hotel drop off at Amman. 07:00 am: Having breakfast at the camp. 08:00 am: Starting morning Jeep tour (In Bedouins truck) and visiting some of the amazing places at Wadi Rum. 06:00pm: Home/Hotel drop off (Time might differ a little because day light is shorter in winter time). Explore Jordan’s natural wonders and ancient history on a 2-day, small-group tour of Petra, Wadi Rum, and the Dead Sea. Travel by climate-controlled vehicle with an English-speaking driver as you explore Petra’s rock-cut architecture, go off-road in Wadi Rum, , and soak up the mineral-rich mud of the Dead Sea. Then, spend the night beneath the stars and enjoy an evening of Bedouin cuisine and culture. - Visit & soak up the mineral-rich waters of Dead Sea. - Petra, Wadi Rum ,and the Dead Sea Two Full Days Tour from Amman. -The Jeep tour at Wadi Rum is taken with the Bedouin cars / trucks which are provided with back seats ( no air conditioning and open air - suitable clothes during December - January like warm hats to cover your ears, neck and face is highly recommended. 07:00 Home / Hotel Pickup & moving toward Petra area. 10:00 Arriving to Petra & starting the tour - Self Guided Tour. 15:00 Moving toward Wadi Rum. 17:00 Arriving to Rum and Moving toward the Bedouin camp site inside Rum Valley 12 Km from Rum Village ). 20:30 Dinner ( Bedouin Zarp "Chicken , Grilled vegetables & salads) - Included. 23:00 Sleeping at the camp- Included. 07:00 Having breakfast at the camp - Included. 08:00 Starting morning Jeep Safari tour at Rum Valley. 10:00 Moving towards Dead sea Area. 15:00 Enjoying the beach & sunset at Dead sea area. 17:00 Leaving back to Amman. 18:00 Home / Hotel drop off. -Take in southern Jordan's top sights in three days—ideal for those short on time. 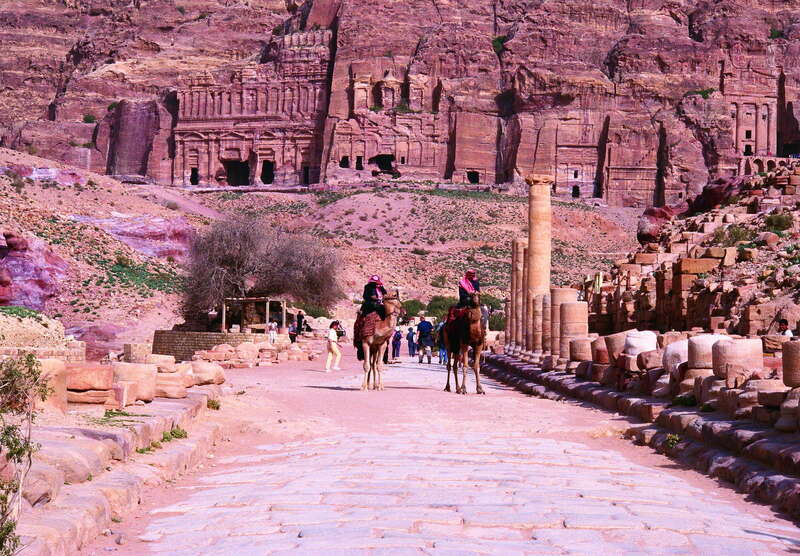 -Explore Petra, a UNESCO World Heritage Site. -Discover the desert of Wadi Rum on a 4x4 tour. -Visit and soak up the mineral-rich waters of Dead Sea.